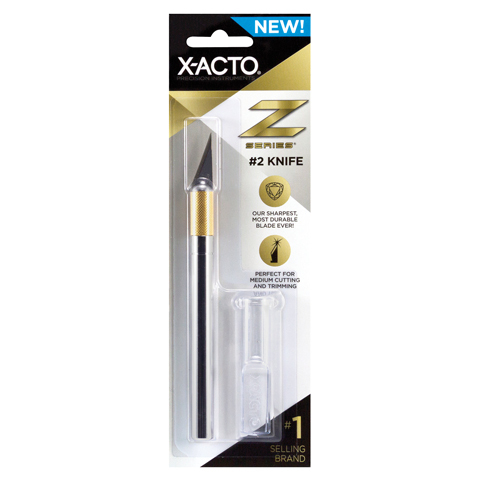 This knife features X-ACTO's sharpest, most durable zirconium nitride coated blade that on average is seven to ten times sharper than other X-ACTO blades. The coating on the blades adds significant strength to the blade itself, particularly the tip. The coating is applied after the blades are atomically sharpened. The #2 precision knife can be used for cutting medium- to heavy-weight materials, and easily cuts wood, paper, plastic, metal, film and acetate.